3 bedroomed semi -detatched house in quiet elevated position with fine fell views over Skiddaw to the front and Coledale Horseshoe to the rear. An ideal setting for walking, cycling or touring holidays, with launching facilities for water sports enthusiasts at the Marina about half a mile away. The modern kitchen is well equipped with electric oven and gas hob, microwave, fridge freezer, washing machine and integrated dishwasher. There is an iron and ironing board. Please bring your own tea towels and washing up liquid. Back porch with access to garden. Downstairs shower room, with w.c. and basin. Please bring your own towels and toilet paper. 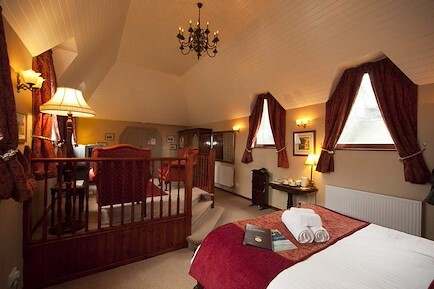 Upstairs there is a double bedroom with king size bed, wardrobes and dressing table, with fantastic fell views. There is a small single bedroom with set of drawers and fitted cupboard. The third bedroom has bunk beds and two single beds, wardrobe and set of drawers. The bathroom has bath with electric shower over, wash hand basin and toilet. All beds have duvets with covers. You must bring top sheets (or your own duvet covers) and bottom sheets for all single beds and pillow cases for all beds. We provide sheets for the king size bed. I order to maintain the standard of the accommodation Smoking an Pets are not permitted. Property to be vacated by 10.00.a.m. on the day of departure and will be ready for you by 4.00.p.m. Many of our visitors are repeat bookings, either for a regular week each year or for 2 or 3 separate weeks each year. 27 October to 22 December £200 per week. Short breaks available. Your enquiry will be sent directly to Newlands. Please fill in as much detail as you can.